Green infrastructure – such as parks, greenspaces, and other environmental features including trees and canals – are increasingly important in urban areas for health and quality of life. They also deliver other important benefits from providing space for wildlife and absorbing rainwater to the removal of harmful air pollutants. However, the benefits of greenspaces as components of urban green infrastructure are not given enough weight in decision making. There is a danger that without more accurate values and an improved business case greenspaces will continue to be under-valued and under-provided. 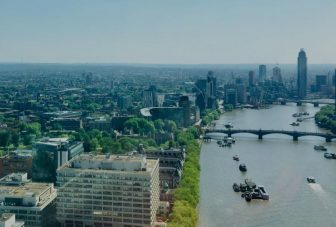 A range of different groups with responsibility for urban green infrastructure – including local authorities and private developers – have identified a gap in terms of practical valuation tools to inform the business case for urban greenspace investments. Although there are various valuation methodologies for different elements of urban green infrastructure, there is not currently a comprehensive toolkit that enables land owners and/or planners to understand how spaces are used, their benefits and their full socio-economic value. Existing methodologies focus on specific factors, rather than providing a holistic overview of costs and benefits. This Innovate UK funded project will address these needs by generating a web-based greenspace valuation tool. The project will learn from and integrate existing planning tools. The tool will be built on rigorous academic research, including evidence syntheses and novel analysis of relevant datasets. The tool development will incorporate new location-specific information on use, spatial configuration, and the socioeconomic characteristics of users of urban greenspaces. Spatially explicit calculations and mapping will be used to quantitatively address key determinants of value such as quantity, quality, function, catchment and accessibility. The project is a collaboration between Vivid Economics LTD, Barton Willmore LLP and ECEHH, more detail can be found on the project website. Would you be happier living in a greener urban area? This study draws on 18 years of panel data from over 10,000 participants and has found that urban green spaces can significantly improve mental wellbeing.